Motorcycle insurance is a must-have for any motorcycle rider. As with car insurance, motorcycle insurance will protect you from financial losses should you get in an accident or your motorcycle is stolen or vandalized. How much you pay for insurance for your motorcycle will largely depend on a variety of factors including your motorcycle’s worth, your driving history, the coverage amounts you are requesting, how high or low your deductible is, along with other factors. 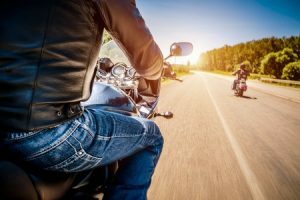 Your Five Brothers Insurance agent will be happy to provide you with a motorcycle insurance quote from a range of reputable providers to ensure you receive the best rate possible. Five Brothers Insurance has been serving the needs of Florida residents and business owners for nearly three decades. We know the insurance industry, and because we remain family owned and operated after all these years, we are able to truly shop the market for the policies that best meet the needs of our policyholders. That means we are able to find the most robust policies at the best rates available. At Five Brothers Insurance, you will always enjoy the personalized attention and support that you can’t find at corporate agencies. Our team is here for you when you have claim or coverage questions and are always happy to provide you with updated quotes as driving records improve or other price-determining factors change. If you own a motorcycle and live in New Port Richey, Safety Harbor, Tarpon Springs, Apollo Beach, Clearwater or the surrounding cities, contact Five Brothers Insurance today and get started on your motorcycle insurance quote today! We look forward to helping you protect your favorite investment with an insurance policy that will cover you when you need it most!